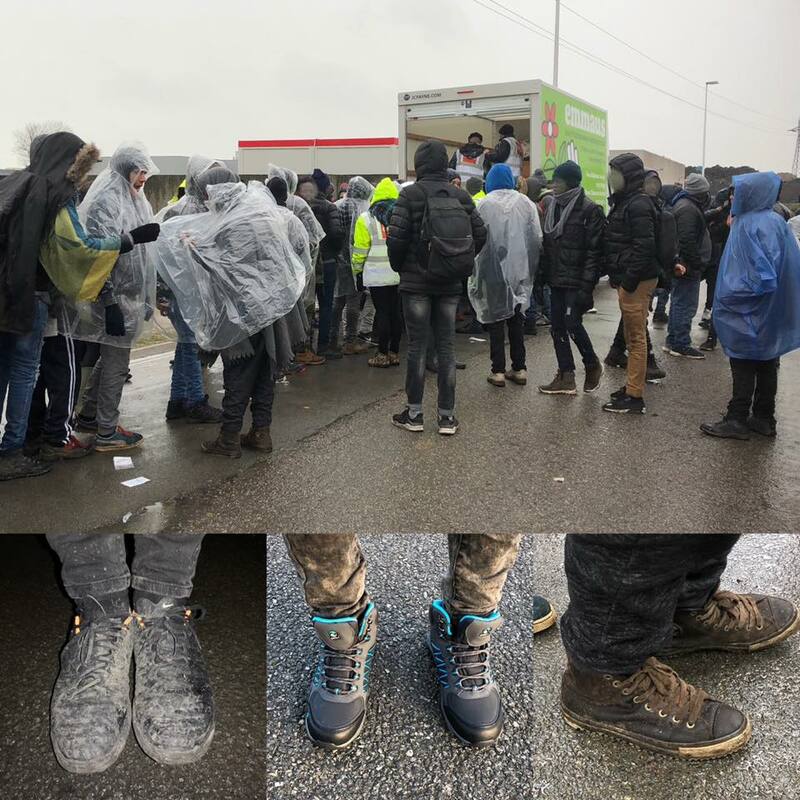 This week, thanks to some very generous donations we received on Christmas Day, we have been able to distribute over 200 pairs of waterproof walking boots and shoes to refugees in Calais. This makes such a difference in winter as the people we visit often have to walk miles every day. This means good shoes are essential, yet many people only have cheap canvas shoes or worse. In this horrible winter weather, if your feet get wet they stay wet, leading to foot infections or even trench foot; so waterproof, breathable walking boots are one of the most sustainable things we can give to change quality of life on a daily basis. This week we were actually distributing in the rain, but everyone queued up patiently, took their treasured new shoes and thanked us. Being in the rain for just three hours brought home to me again that they can’t go back to the warehouse to dry out, or back to a hostel to warm up. When you are sleeping rough and it’s cold, getting wet takes a massive toll on your body because once you are wet, you have no way to get warm. So a massive thank you to everyone who donated on Christmas Day. I hope you see this post and know what a good thing you have done.